Destinies and names... So that’s what they were talking about. 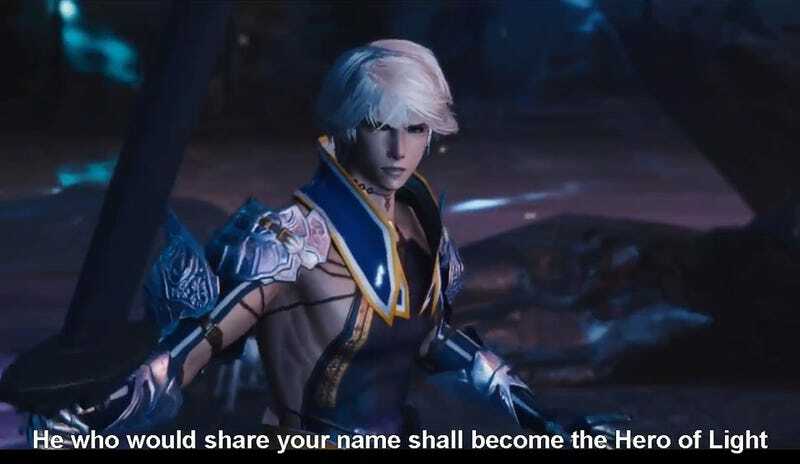 Mobius Final Fantasy was formerly titled Mevius Final Fantasy. However, in what appears to be in preparation for its international release, the name was changed, along with some other things. Unfortunately, at present the only trailer available is the Japanese version, giving non-Japanese-speaking fans little idea as to what the characters are saying. Fortunately, I’m here to help. Check out the trailer below with English subtitles. Mobius Final Fantasy is scheduled for release on Android and iOS platforms this year.